… a tour de force on several levels. The Life Before Us is the story of an orphaned Arab boy, Momo, and his devotion to Madame Rosa, a dying, 68-year-old, 220-lb. survivor of Auschwitz and retired “lady of the night.” Momo has been one of the ever-changing ragbag of whores’ children at Madame Rosa’s boardinghouse in Paris ever since he can remember. But when the check that pays for his keep no longer arrives and as Madame Rosa becomes too ill to climb the stairs to their apartment, he determines to support her any way he can. This sensitive, slightly macabre love story between Momo and Madame Rosa has a supporting cast of transvestites, pimps, and witchdoctors from Paris’s immigrant slum, Belleville. Profoundly moving, The Life Before Us earned France’s premier literary prize, the Prix Goncourt. First published in 1978 as Momo by Doubleday, The Life Before Us is now reissued as a New Directions Paperbook. 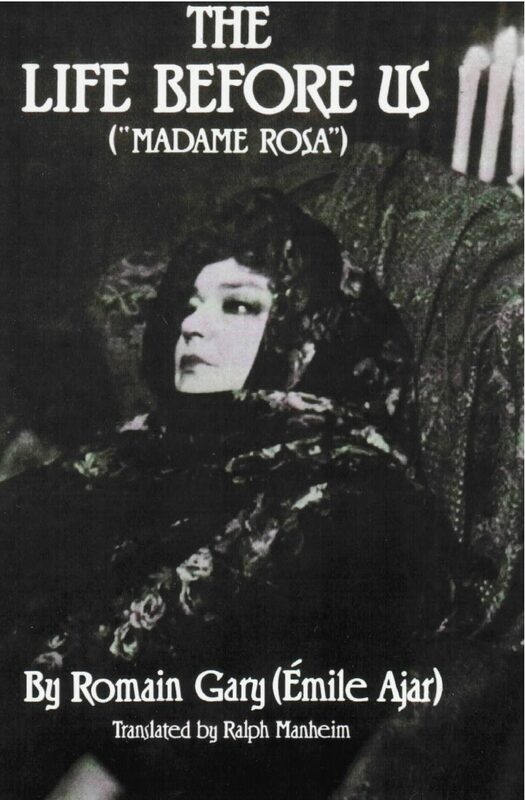 A movie based on the book, Madame Rosa, starring Simone Signoret, was released in 1968.